I am a bit late with this update, but I have been suffering from migraine the last two days, so today you'll get the books of the last six days in one post. On day 10 I got Gerald Durell's My Family and Other Animals, a book that is out of print in Germany, and used copies are quite expensive. Fortunately I was lucky to find a pre-loved edition from the 90s at an affordable price. 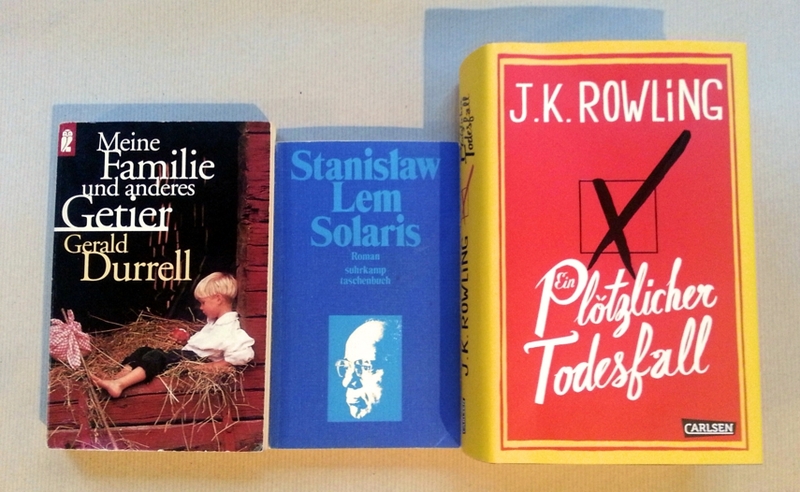 Day 11 was Stanislaw Lem's Solaris. I haven't seen the movie, but I have read and loved The Star Diaries, so I want to read more from this author. On the 12th it was was J.K. Rowling's The Casual Vacancy, her first mystery. I want to find out how well she does in this genre. I haven't read any of the "Robert Galbraith" books so far, and I'll make it conditional on how much I enjoy this one. Day 13 was José Saramango's Blindness; the premise of having an epidemic that makes everybody lose their eyesight sounds captivating. Yesterday I drew the Gears' People of the Wolf, a recommendation when talking about Auel's Ayla series, or at least the better ones of its books. 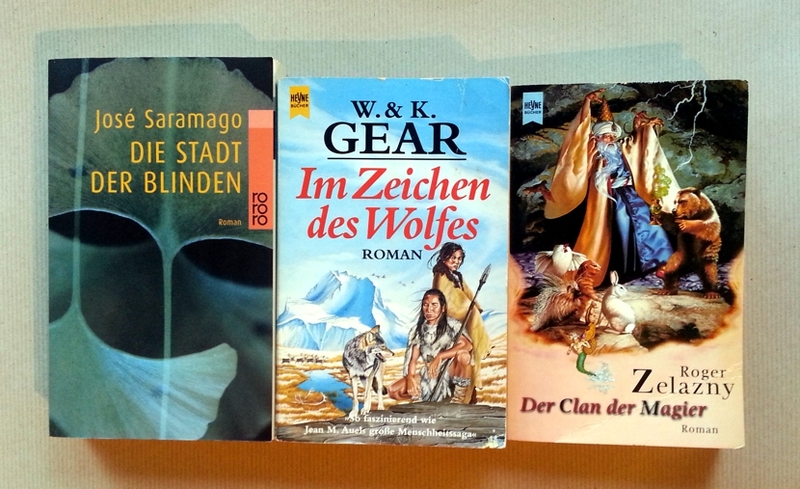 And today I got Roger Zelazny's A Night in the Lonesome October. I simply can't resist a humorous fantasy novel that has so many well-known classical characters in it.